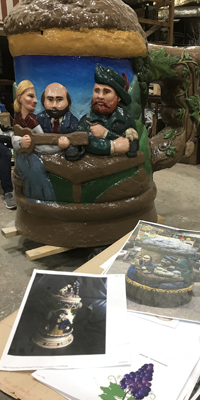 The award-winning Mystic Timbers roller coaster will continue to be the biggest draw when Kings Island opens its 2018 season this Saturday. But a new restaurant and other new food options will make the dining experience just as memorable as the rides for guests. The new Coney Bar B Que restaurant, which is located in the Coney Mall section of the park next to the Scrambler, features a menu with a diverse selection of barbecue favorites including smoked St. Louis-style ribs, pulled pork, rotisserie chicken and Queen City Sausage along with a fresh selection of side dishes. Coney Bar B Que is included in the park's dining plans, with a majority of the menu items gluten-free. 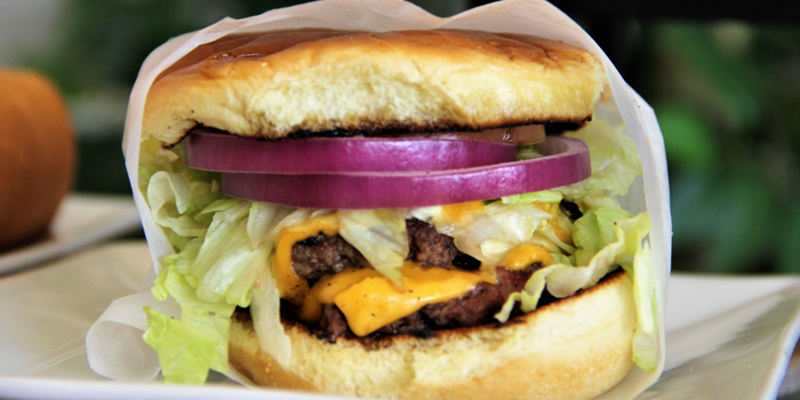 Guests can also feast on a double cheeseburger, bacon burger and split hot dogs in a butter bun at Juke Box Diner, burritos and quesos at Hank's Mexican Grill, as well as smoked turkey legs, bacon-on-a-stick, hushpuppies and more at other food locations around the park. 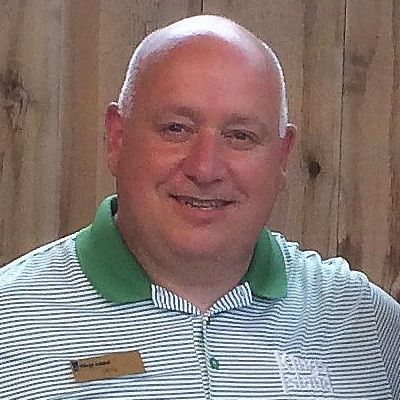 In addition, Kings Island has a new executive chef this year. James Major, a two-time winner of the Food Network’s “Chopped” reality TV cooking contest and contender on Alton Brown’s “Cutthroat Kitchen,” joined the park’s culinary team in March. An Ohio native and U.S. Navy veteran, Chef Major previously served as executive chef at Great American Ball Park and Funky’s Catering. He is a certified Pro Chef II from the Culinary Institute of America. Embedded in our minds are memories which we gather and weave together throughout our lives. 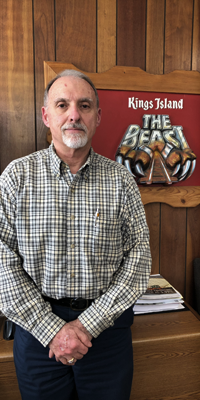 One significant memory that John Keeter can recall in detail was the first time he experienced Kings Island’s star attraction, The Beast, now celebrating its 40th anniversary season. You heard it hear first. The new Kings Mills Antique Autos are a hit! 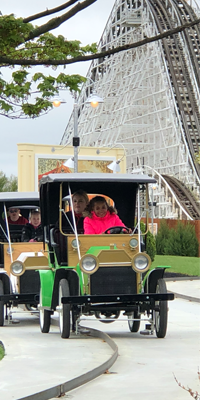 Rain or shine, opening weekend at Kings Island was a success. It is truly incredible to see guests come from all over and get to be some of the first to experience this blast from the past. Don’t believe us? Read for yourself! 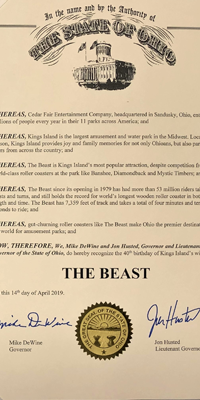 The Beast is celebrating its 40th anniversary at Kings Island this year. 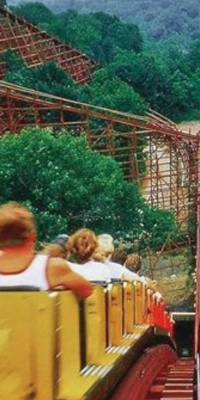 This coaster, when it first opened April 14, 1979 was the longest and fastest roller coaster in the world. 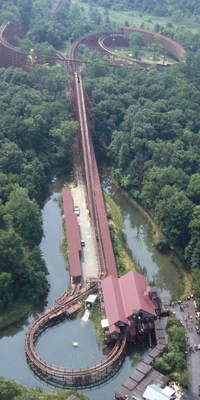 It still holds the title as the longest wooden roller coaster in the world at 7,359 feet. We’ve all heard about The Beast; now it’s time to meet one of its makers. Jeff Gramke started out as a surveyor before he embarked on the ride of his life. If you’ve been to Kings Island before, you’ve likely passed underneath one of the biggest beer steins you’ve ever seen. It’s fitting that it’s located above the pretzel shop near the entrance to the Oktoberfest area of the park. And, at 4 feet tall, 42 inches across, it would satisfy any beer fan, holding more than 150 gallons of beer. Forty years ago, the phenomenon known as The Beast debuted. The ride’s opening in 1979 shook the roller coaster world to its very foundations, breaking all existing records as the longest, the fastest and, well, just plain baddest ride in the world. In roller coasters, there had been nothing else like it anywhere and it took riders to a place they’d never been before, delivering the next level of big thrill, adrenaline-pumping excitement. 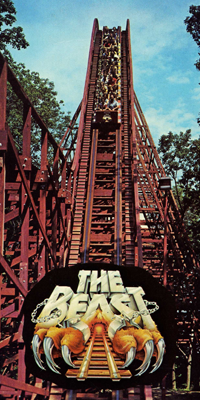 The Beast, which officially opened to the public on this date 40 years ago on April 14, 1979, was recognized by The State of Ohio with a resolution by Governor Mike DeWine and Lieutenant Governor John Husted which read, in part, “Whereas, The Beast since its opening in 1979 has had more than 53 million riders take its twists and turns, and still holds the record for world’s longest wooden roller coaster in both length and time." After three years of design and construction work, The Beast was officially, and quite appropriately, “unchained” in a steady downpour 40 years ago on Friday, April 13, 1979, for hundreds of newspaper, television and radio reporters from around the U.S. and Great Britain. Another year of amazing fun at Kings Island is here! If you’re ranking sentences, that one is probably pretty high up there on your list, right? 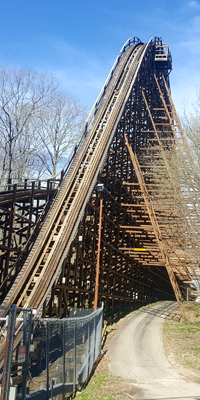 With the countdown to Gold and Platinum Passholder Preview Night on April 19 and Opening Day on April 20 down to single digits, here are some storylines that have made the 2019 season one of the most highly-anticipated in Kings Island’s 47-year history. I’m no stranger to theme parks but in the case of Kings Island, I am a total newcomer. 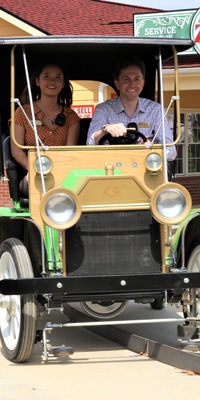 Confession: The first time I’d ever been to Kings Island was my interview for the Social Media Coordinator position. 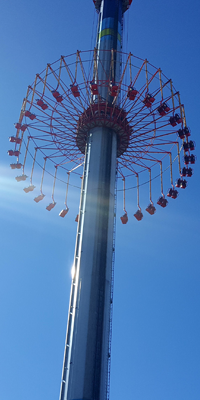 I’ve decided that this blog, A Walk in the Park at Kings Island will be one of my contributions to the park as a recurring weekly segment filled with pictures that I take of some of my favorite findings and my thoughts.